I have never been a big Halloween person. I don’t think its evil, or bad nor do I think that people who celebrate it are crazy. It just has never really spoken to me. My wife is really excited about this being our daughters first trick-or-treating Halloween. Claire is old enough to enjoy the dressing up and going out. We were given a ladybug costume a while back and I figured that’s what my wife was going to have Claire wear. To my surprise Claire’s costumer was not the usual cute-toddler-costume one thinks of. Claire is going to be St. Clare of Assisi for Halloween. That was my mothers’ response. When I told her that it was a nun she thought it was weird and that I should have picked something “cuter”. I understand that sentiment. It is definitely not the usual Halloween character. However I am glad my wife decided to chose a saint for Claire’s Halloween costume. 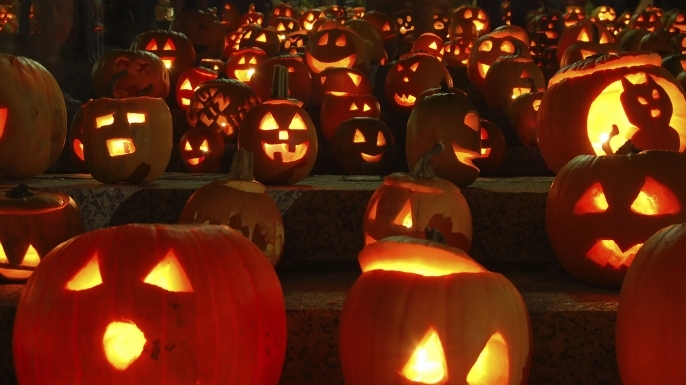 There will be plenty of toddlers dress as goblins, ghouls, and other frightening characters. I am sure that there will be plenty of cute ladybug, and butterfly costumes to go around as well. 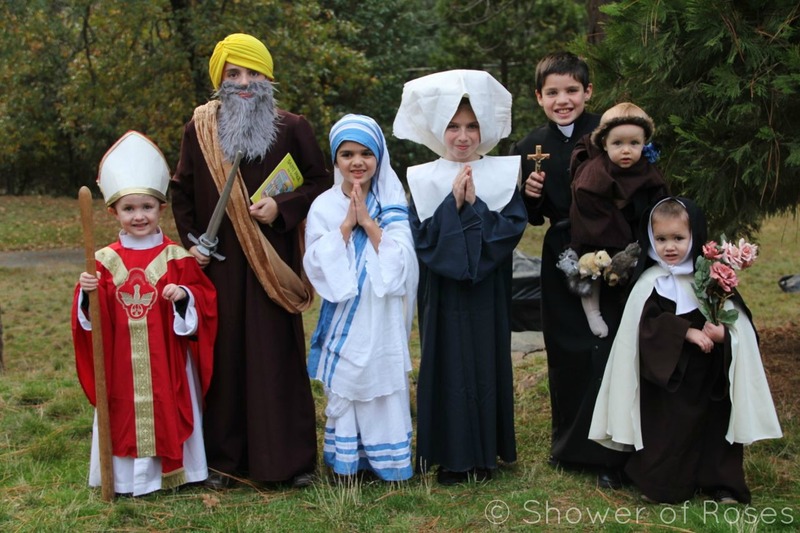 I believe there will be very few children if any dressed as Saints this Halloween. There is something very depressing about that last sentence. Saint’s are heroes. Men and women, who struggled, sinned, changed and lived courageous lives of virtue under devastating, sometimes life-ending circumstances. If you have never read about St. Augustine, St. Claire of Assisi, St. John Paul II, and St. Maria Goretti—you are missing out on some of the greatest stories ever told. When my daughter shows up at someone’s doorstep on October 31st, she will be dressed in an unusual costume. This costume will probably intrigue those who open their doors. It will be an opportunity to share a little bit about a great Saint. 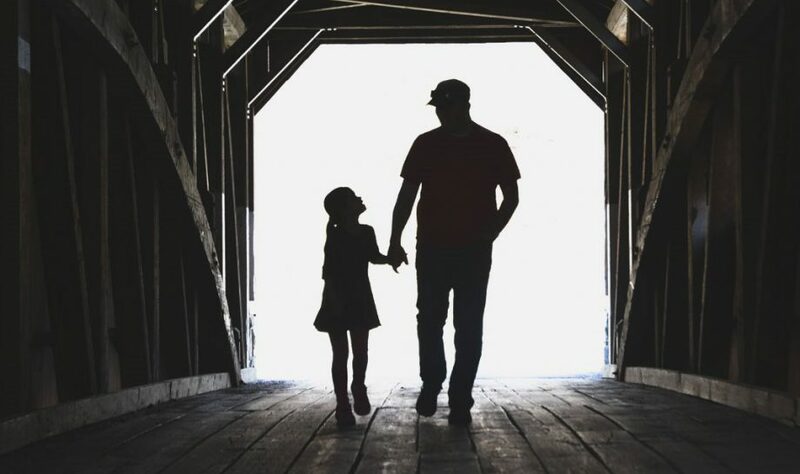 My first real blog post on this journey of discovering fatherhood consisted of sharing about my desire for my daughter to become a saint. I guess it is only fitting that my wife dresses her up like one for Halloween. Claire is a normal kid and so were all those we call saints. It is the not so usual way that they lived their lives that lead these ordinary people to become extraordinary. So my daughter will show up at someone’s doorstep sharing about our spiritual family’s ancestors. Maybe you find this weird, or pushy, and I’m okay with that. It is this father’s humble opinion that we don’t need more goblins, ghouls, butterflies or ladybugs in the world, but we do need more saints. Ordinary men and women who chose to live in extraordinary ways. Saints change the world, and I believe that we need to discover more about these men and women so that our children as well as ourselves, can be inspired to follow in their not-so-usual ways and be transformed. A few days ago I was in a Wal-Mart with my daughter Claire and I saw that they already had Halloween costumes out. There were two high school girls looking at the different outfits and I happened to overhear their conversation. The one girl thought that the costume she was looking at was not “skimpy” enough. Yes, she actually used that word. The conversation ended with them deciding to go to one of those pop-up Halloween stores in town to get something that would be more “fitting” for their needs. It hurts my heart to see them dressing in a way that is going to objectify them and have guys thinking all kinds of inappropriate things about them. I have to call them out on it and remind them that they have dignity and worth that these costumes do not reveal, which is always a tough and sometimes awkward conversation to have—mostly for the girls. So this is my open letter to my beloved ladies of Youth Ministry. I love you girls so much that I want to say this before Halloween comes around and you buy your costume. Maybe this year the skimpy, inappropriate Halloween costumes are hitting closer to home because I am a father to a baby girl. Maybe holding Claire as I heard the above conversation had me see her in those two high school girls. Regardless of the reason I don’t think that the skimpy costumes are necessary. So here are this Youth Minister’s 6 reasons why I would advise against the skimpy costumes. The skimpy costumes are not original: Every year there are tons of girls scantily dressed up as cops, pirates, nurses, etc. I guarantee you that there will be at least one of each at the party you go to. If having the same dress, as another girl at a dance is a no-no, then I’m sure having the same costume, as another girl is just as bad. The skimpy costumes are not original, so be more creative. Halloween is not a modesty-free-day: No other day of the year would you wear anything remotely skimpy as that costume, so why is Halloween all of a sudden an acceptable day for this? Seriously, if it is the size of a dinner napkin it isn’t modest! Modesty is not something you can put aside for a day even if Seventeen Magazine says so! You become a target for the wrong type of guy: The skimpy costume is notorious for attracting guys that only want to check you out and potentially go beyond just staring. The skimpy costume is a magnet for jerks, pervs, and guys who don’t want to see the whole you. Who wants that?! Help a brother out: Our primary sense is our sight. For most guys sight is the one sense that can really get us in trouble. What the eye sees the heart desires. If you have a skimpy costume on that shows off your body, a guy is going to desire it. That’s not to say every guy who stares at you will be thinking inappropriate thoughts, but there is a real good chance they will. Help a brother out by not having them have to deal with that. 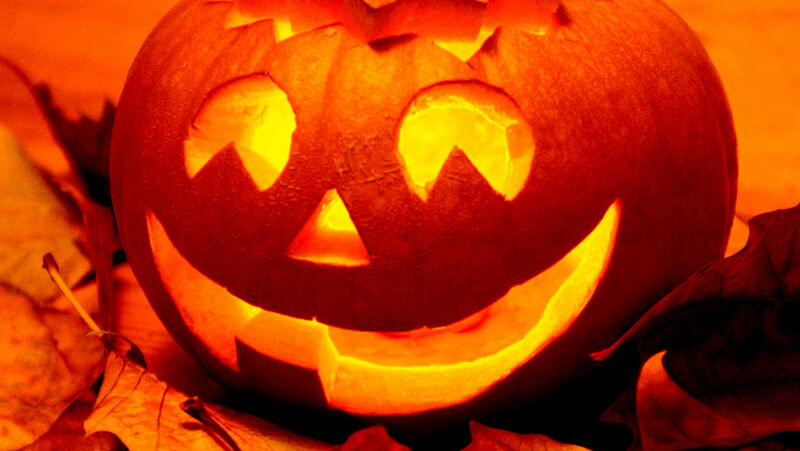 Think beyond Halloween: You might think the skimpy costume was cool, but what about after October 31st? What will people say when they talk about that night or look at those pictures you are sure to post on Facebook? “Wow, I thought Susie was really going to arrest me.” is not one of those things. If you looked skimpy, people will refer to you in that way. The rest of the year you will have to live with what you wore for a few hours of one night. The skimpy costumes don’t reveal enough: Let me explain. The skimpy costumes may reveal the beauty of your body, but that isn’t all of you. You are a person with a soul, with intelligence, dreams, talents, gifts, personality and most importantly dignity. A dignity that is yours to uphold, protect and reveal to the world. The skimpy costume only puts focus on your body, and as beautiful as that body is, it only reveals a very, very small, tiny, bitsy piece of who you are. You are so much more than just flesh! There are so many cool, creative non-skimpy costumes out there that can highlight your creativity, intelligence, gifts, talents as well as your beauty. My challenge for you is to not get sucked in by the worlds desire to make you into a thing, an object, a means to an end. You are holy. You are sacred. You are precious. So be all of those things.